Ron and Maggie Tear Photography: Dust bathing. 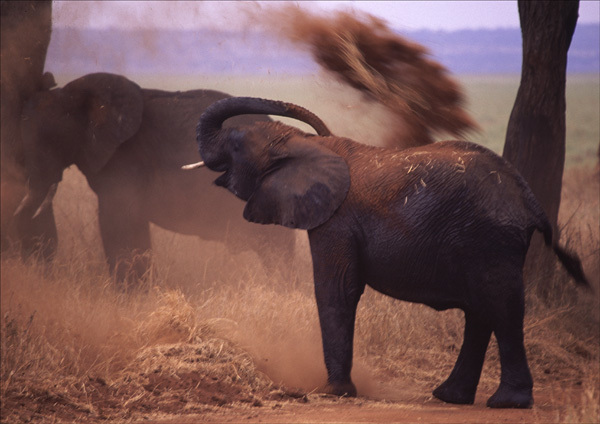 After a good feed and drink in the Sahale swamp, these elephants liked nothing more that a dust bath. The soil being red made them even more attractive to see. Coloured the landscape.